Color Challenge Wednesday - Yellow - Yellow lifts the sad soul! 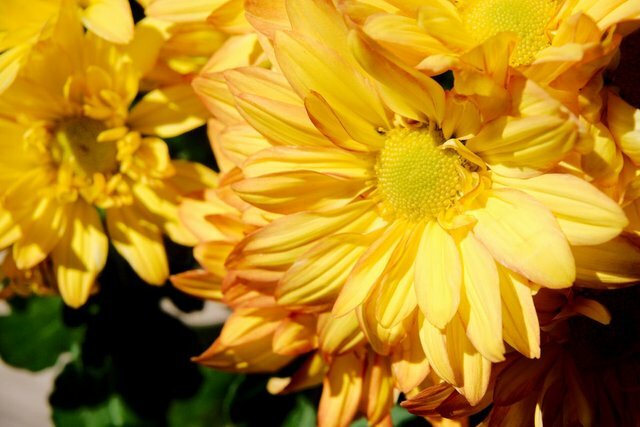 There is always a yellow flower around when you need one, Yellow the brightest of the colors, always uplifting. My wife's grandmother passed away last week, these sympathy flowers are so bright, they help to remember a bright soul! Enjoy your loved ones while you can.